No doubt about it, NASA explores some of the most awe-inspiring locations in our solar system and beyond. Once seen, who can forget the majesty of astronaut Jim Irwin standing before the stark beauty of the Moon's Hadley Apennine mountain range, of the Hubble Space Telescope's gorgeous "Pillars of Creation" or Cassini's magnificent mosaic of Saturn? Mars also plays a part in this visually compelling equation, with the high-definition imagery from the Curiosity rover of the ridges and rounded buttes at the base of Mount Sharp bringing to mind the majesty of the American Southwest. 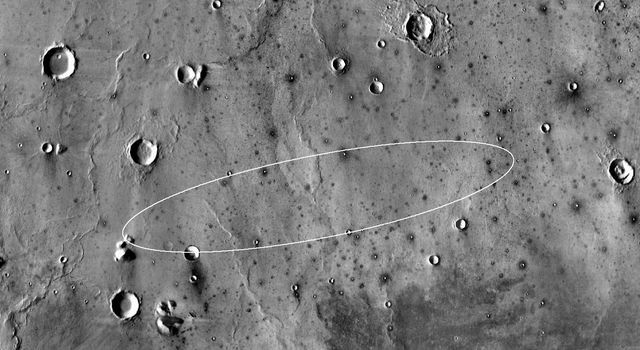 That said, Elysium Planitia - the site chosen for the Nov. 26 landing of NASA's InSight mission to Mars - will more than likely never be mentioned with those above because it is, well, plain. "If Elysium Planitia were a salad, it would consist of romaine lettuce and kale - no dressing," said InSight principal investigator Bruce Banerdt at NASA's Jet Propulsion Laboratory in Pasadena, California. "If it were an ice cream, it would be vanilla." Yes, the landing site of NASA's next Mars mission may very well look like a stadium parking lot, but that is the way the Interior Exploration using Seismic Investigations, Geodesy and Heat Transport (InSight) project likes it. 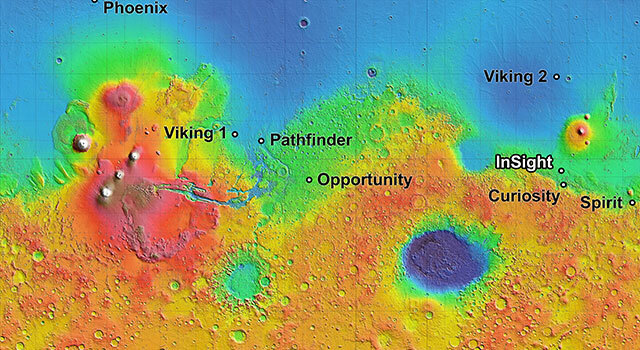 "Previous missions to the Red Planet have investigated its surface by studying its canyons, volcanoes, rocks and soil," said Banerdt. "But the signatures of the planet's formation processes can be found only by sensing and studying evidence buried far below the surface. It is InSight's job to study the deep interior of Mars, taking the planet's vital signs - its pulse, temperature and reflexes." The mission's Heat Flow and Physical Properties Package (HP3) will burrow deeper than any other scoop, drill or probe on Mars before to gauge how much heat is flowing out of the planet. Its observations will shed light on whether Earth and Mars are made of the same stuff. Finally, InSight's Rotation and Interior Structure Experiment (RISE) experiment will use the lander's radios to assess the wobble of Mars' rotation axis, providing information about the planet's core. For InSight to do its work, the team needed a landing site that checked off several boxes, because as a three-legged lander - not a rover - InSight will remain wherever it touches down. "Picking a good landing site on Mars is a lot like picking a good home: It's all about location, location, location," said Tom Hoffman, InSight project manager at JPL. "And for the first time ever, the evaluation for a Mars landing site had to consider what lay below the surface of Mars. We needed not just a safe place to land, but also a workspace that's penetrable by our 16-foot-long (5-meter) heat-flow probe." The site also needs to be bright enough and warm enough to power the solar cells while keeping its electronics within temperature limits for an entire Martian year (26 Earth months). So the team focused on a band around the equator, where the lander's solar array would have adequate sunlight to power its systems year-round. Finding an area that would be safe enough for InSight to land and then deploy its solar panels and instruments without obstructions took a little longer. "The site has to be a low-enough elevation to have sufficient atmosphere above it for a safe landing, because the spacecraft will rely first on atmospheric friction with its heat shield and then on a parachute digging into Mars' tenuous atmosphere for a large portion of its deceleration," said Hoffman. "And after the chute has fallen away and the braking rockets have kicked in for final descent, there needs to be a flat expanse to land on - not too undulating and relatively free of rocks that could tip the tri-legged Mars lander." Of 22 sites considered, only Elysium Planitia, Isidis Planitia and Valles Marineris met the basic engineering constraints. To grade the three remaining contenders, reconnaissance images from NASA's Mars orbiters were scoured and weather records searched. 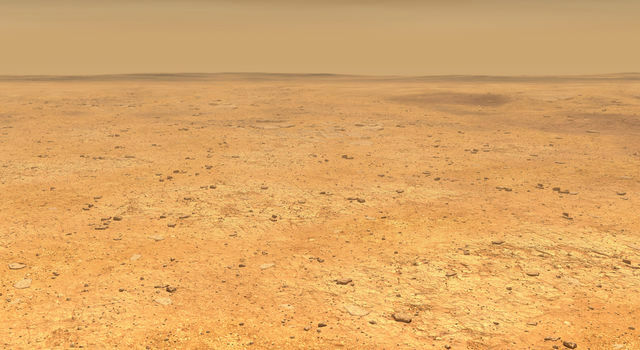 Eventually, Isidis Planitia and Valles Marineris were ruled out for being too rocky and windy. That left the 81-mile long, 17-mile-wide (130-kilometer-long, 27-kilometer-wide) landing ellipse on the western edge of a flat, smooth expanse of lava plain. "If you were a Martian coming to explore Earth's interior like we are exploring Mars' interior, it wouldn't matter if you put down in the middle of Kansas or the beaches of Oahu," said Banerdt. "While I'm looking forward to those first images from the surface, I am even more eager to see the first data sets revealing what is happening deep below our landing pads. The beauty of this mission is happening below the surface. Elysium Planitia is perfect." After a 205-day journey that began on May 5, NASA's InSight mission will touch down on Mars on Nov. 26 a little before 3 p.m. EST (12 p.m. PST). Its solar panels will unfurl within a few hours of touchdown. Mission engineers and scientists will take their time assessing their "workspace" prior to deploying SEIS and HP3 on the surface - about three months after landing - and begin the science in earnest. InSight was the 12th selection in NASA's series of Discovery-class missions. Created in 1992, the Discovery Program sponsors frequent, cost-capped solar system exploration missions with highly focused scientific goals. A number of European partners, including France's Centre National d'Études Spatiales (CNES) and the German Aerospace Center (DLR), support the InSight mission. 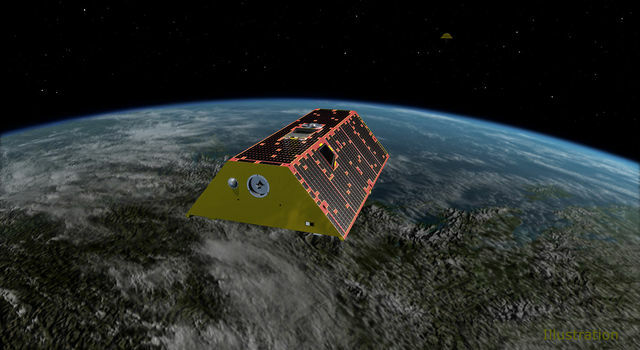 CNES provided the SEIS instrument, with significant contributions from the Max Planck Institute for Solar System Research (MPS) in Germany, the Swiss Institute of Technology (ETH) in Switzerland, Imperial College and Oxford University in the United Kingdom, and JPL. DLR provided the HP3 instrument.